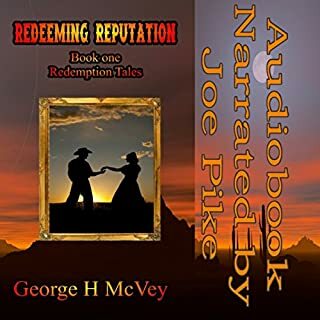 Nathan Ryder wants nothing more than to get to Redemption, New Mexico, and start his career as a circuit riding preacher. He stops to meet up with his grandfather in Franklin, Missouri only to find that his grandfather has died. He steps in to save a damsel in distress and at the end of the night Nathan has gained the reputation as a fast gun hand. Every time he tries to be who he thinks he's supposed to be another gunslinger comes and the body count rises. Nathan's anxiety rises with it. I'm now a faithful reader/listener to George! 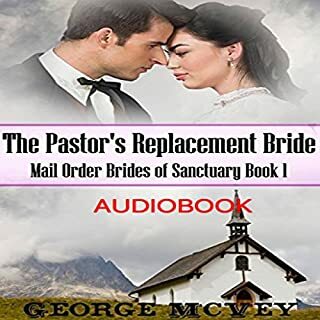 When the daughters, sisters, and mothers of several men from town approach the Pastor Joshua for his blessing on a church endorsed mail order bride scheme the frazzled Minister sees a way to stop all the advances of the mayor’s daughter. He slips his own letter into the packet before it is mailed out to the churches in Richmond, Philadelphia, and Chicago seeking his own bride. When the stage arrives with the brides, Joshua finds his didn’t make the trip. However, his heart has chosen another, his intended’s best friend. Made me ugly cry and laugh! 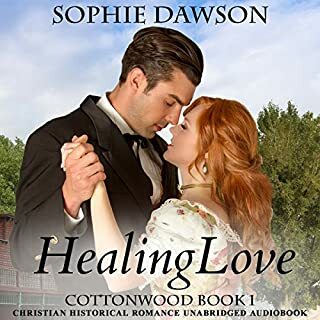 Forced by his father to leave England, Sinjon Lytton arrives in Cottonwood only to find he's to work as a stable hand. The only good thing about the town is the beautiful woman with the golden hair he meets the first day. Maggie doesn't feel any delight about the man who seems so happy to be hired as her driver. She denies the tingling the touch his hand brings her, too busy dealing with living on her own to admit her growing attraction to Sinjon. Maggie's mother would love nothing more than to see them married. Maggie worries if their faiths are too different to get what her heart desires. Sinjon wants what Sinjon wants and nothing is going to stand in his way. When all options seem wrong, can they learn to trust God and see that he will make a way? Even when it seems impossible? i thoroughly enjoyed these books. 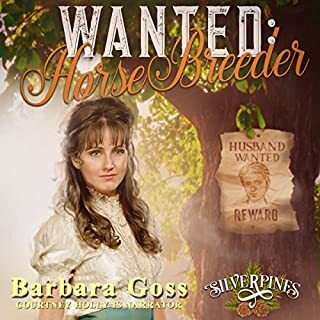 I am deeply disappointed that the third book in the series is not available on audible books. I sincerely hope that they will tectify this and it will soon be available! 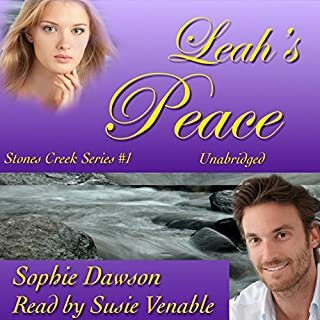 Sophie Dawson is another favorite author! A wonderful story of faith and love. The unwavering commitment of the characters to their relationship with God is inspiring. Narrator really messed this great book up. I loved the story and that it centered on having a relationship with Christ. The entire story was great. I'd enjoy another in the series. Who would you have cast as narrator instead of Lori J. Smith? When Maggie refused to accept St John's marriage proposal. If they wanted an English character, they should have used a narrator that could speak with the English accent. Enjoyed this book would recommended to a friend. yes I would recommend to a friend. It has a pretty good story line and I enjoy getting lost in a story. It kept going and was very good at taking you to the time and place in history in which it was written. How Magi had to chose if she was going to put God first or the man she loved first. What does Lori J. Smith bring to the story that you wouldn’t experience if you just read the book? She did a good job on the voices. My favorite was Magodonlina's mother. She made me laugh several times with the way she just brought the character to life. I also believe she did a good job portraying Magi in this story her young innocence. It made me laugh several times. Also it took me for a loop when Magi got hurt. 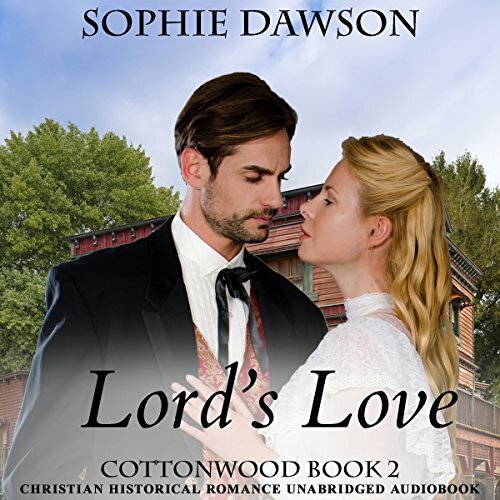 I enjoyed the first book in the cottonwood series a little more only because there was a little more suspense in the story compared to this one. But it was enjoyable non the less and I look forward to the next book in the series coming out on audio.